Get your head in the game! 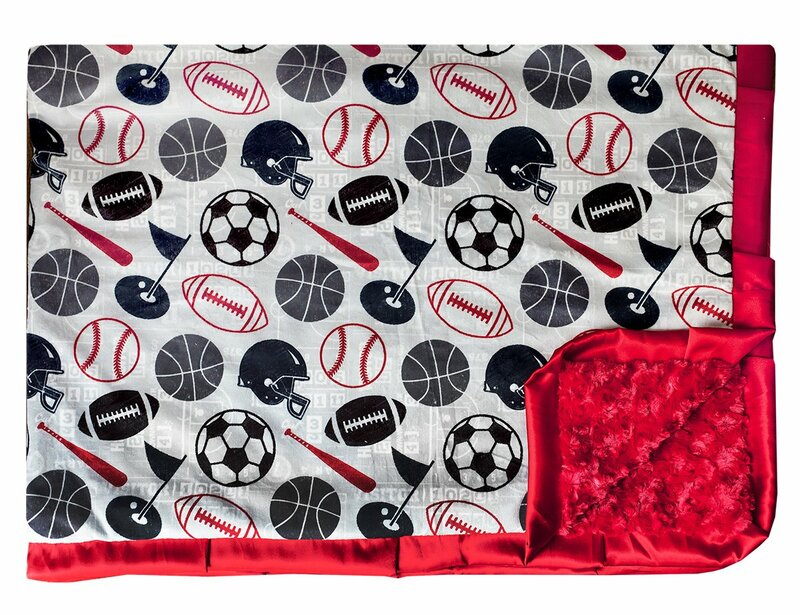 Baseball, football, soccer and golf take the field on this versatile design. Navy blue, black, charcoal and red on a gray background. Red minky back and red satin ruffle.